“A remarkable evening of front-line talent. Artists Without Walls encompasses the very best in music, theatre and spoken-word. Entertainment in a thoughtful, respectful atmosphere devoid of posturing and ego. Quite refreshing. Bravo!” writer Billy Barrett. 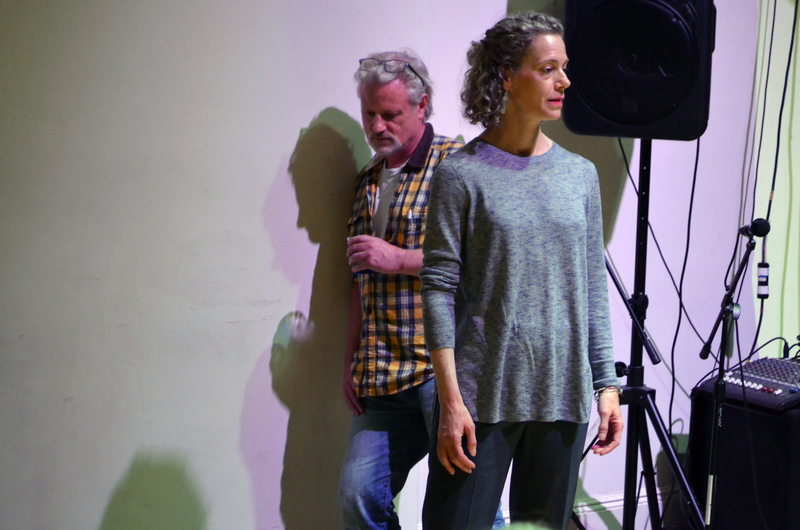 John Moran, Rebecca Lowry and Courtney Torres followed, performing an excerpt from Brendan Connellan’s SAVAGE. Family issues come to a head and things get said that have long needed saying. The daughter, Torres, has only just told her father, Moran, that she is getting married and soon. Out of desperation, he calls the girl’s mother, his ex-wife, Lowry, who walked out on them when the daughter was just a baby and nobody has seen her or been in touch with her ever since. She’s just arrived at the house….and from there we were subject to some wonderful performances from three fine actors. 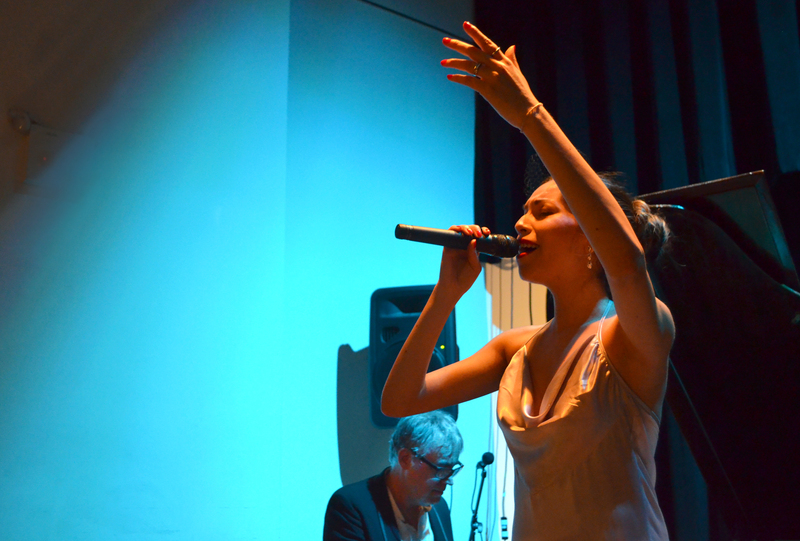 Here’s what pianist Joe McGinty said about singer Andrea Diaz, “I’ve probably played piano for thousands of singers on my piano karaoke nights, but even after just one song, I knew there was something special about Andrea.” And that’s how they met. We were thrilled to have Joe and Andrea join us on Tuesday night. The Duchess and The Fox, as they call themselves, is a throwback to an era of glamour with McGinty’s piano and Diaz’s voice combining to create highly sensual, piano cabaret music with a solid dose of New York nightlife flavor and grit. Great performance, including shouts of “Encore,” which Joe and Andrea willingly provided. 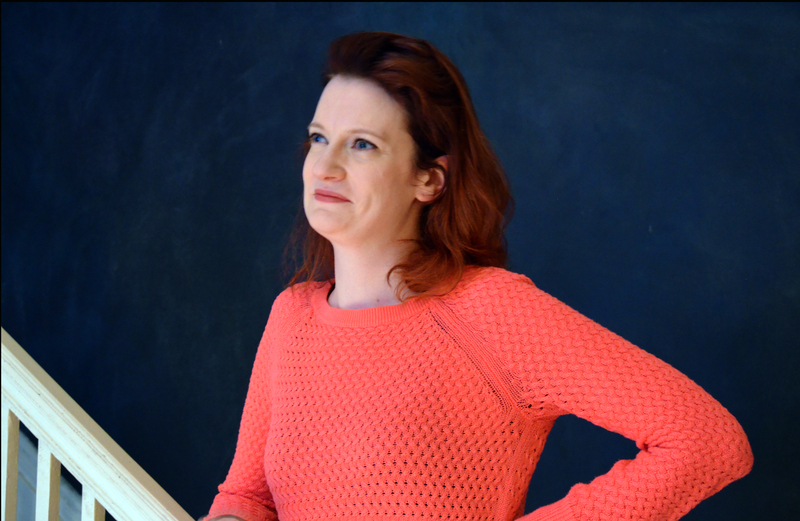 What happens when a 19th century German immigrant meets a 21st century NYC casting director? Hilarity! Justin Phillips, a nineteenth century German immigrant farmer comes to America to pursue his dream of becoming a Broadway star. He meets a slick, twentieth century casting director played by Clarissa Hoffmann and all hell breaks loose. 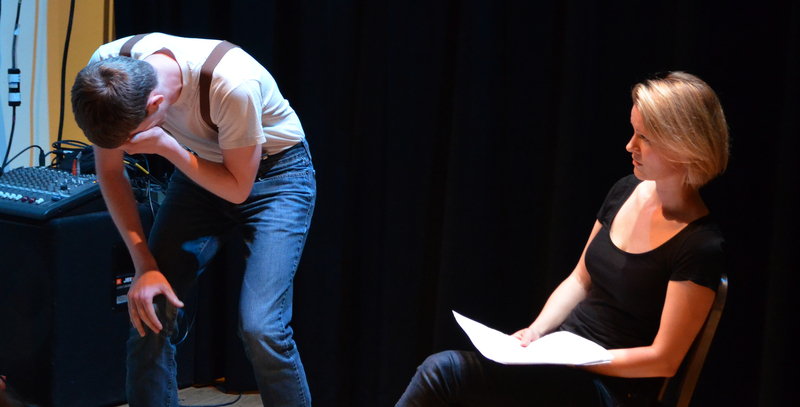 The short comedic theater piece “John,” written by Jodie Leidecker and performed by two first time Artists Without Walls’ performers was very well received by AWoW’s audience. 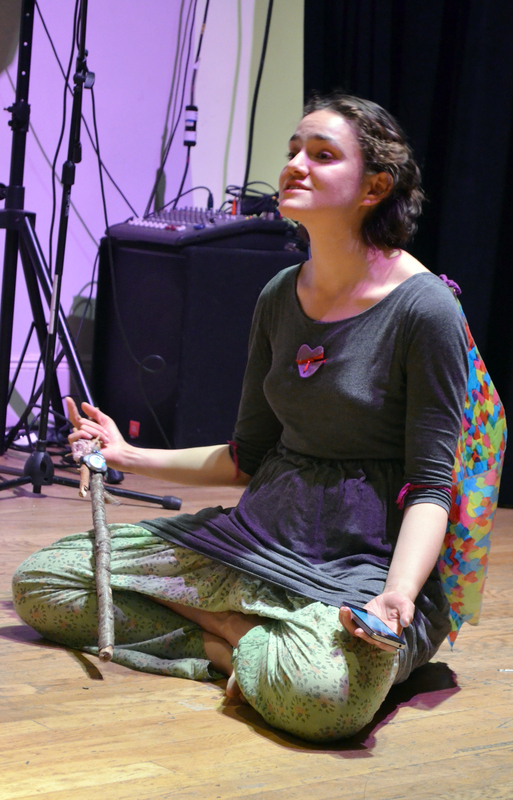 Here’s what Clarissa wrote before the show, “I really loved the atmosphere at the April Showcase and I think this piece “John” would be a great complement to the cultural and artistic mix of such an inspiring evening.” And that’s exactly what it was. We hope to see much more of Justin and Clarissa. Pianist Alexander A. Wu stepped up next and announced he was going to play some Gershwin. And did he ever! The first piece was a dazzling “Embraceable You,” which had been transcribed as a classical piece by Earl Wild. Not only did Alexander’s performance bring to life one of Gershwin’s earlier piano works, the aforementioned, “Embraceable You,” Alex also performed excerpts from one of the composer’s large scale works, “An American in Paris.” We’re excited to have Alex as our newest member and we hope that between his performances on the international stages with orchestras and chamber groups throughout Asia, Europe, Latin America and the USA it won’t keep him from performing at another Showcase in the near future. The evening was hosted and emceed by Artists Without Walls’ Artistic Directors Niamh Hyland and Charles R. Hale. Artists Without Walls next Showcase will be on Tuesday, June 28, 7:30pm at The Cell Theatre, 338 W23rd St., NYC.